I have studied the Environmental statement and can only hope that you will take a very robust view to it as so much is either incorrect or misdirection. To address each issue would take weeks and copious forests of paper so I will simply rely on your ability to see the wood for the trees. However on a few more direct facts I would like to bring them to your attention. • The Tourism Report is not worth the paper on which it is written. It parrots the Tourism Impact Report 2008 which has been supplanted with the tourism impact study produced for the Blue Seas Green Energy report which concluded that the small area of the Solway Firth and Kintyre would suffer a loss of tourism of £3.4million per annum and a cumulative loss to the area of some £169million by 2015. This rather puts this report where it should be filed. In the round receptacle under the desk? Just to point to three areas of doubt. Of twenty two hotels, fifty per cent had changed hands. Hardly a vote of confidence. Does not the author suspect some correlation? Only two hotels could see a wind farm. Of those 50% had suffered a serious loss of business with one major client, in all probability a bus tour company, and various other regular visitors. This hotel also suffered serious noise problems. In October to December 2010 the vast majority were experiencing improved occupancy levels or some fluctuations and then the report refers to recessionary pressures. There are no numbers here and my knowledge of the trade last year suggests that these must have been the only hotels in Scotland so blessed! 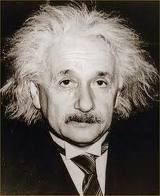 I suspect that the words ‘fluctuation’ and ‘recessionary comments’ prove to an obfuscation of the truth. In my professional view the rest is off the back of a fag packet. Most of the wind farms that were chosen in this report were a long way up in the hills and the conclusion of one of the only two in sight of a wind farm would suggest a serious adverse impact. The proximity to the Holiday Chalets and Bed and Breakfast in the Druim Ba development brings a totally different picture in comparison to the report produced. I would suspect that this was a simple telephone survey completing tick box answers with no guarantee that the information provider was qualified to provide the information. This is a report to provide the conclusions required by the client. The criticism of the delay in provision of Community Benefit is the only nascent point in the whole report. • The Noise Statement. This is based on ETSU-R-97 which was produced by Hayes and Mackenzie. I have a letter on my desk from the DECC Minister, Charles Hendry, that states that he has appointed Hayes and Mackenzie to undertake a project to review how noise issues are currently considered in Planning Applications. The report will be published in April 2011 and he will consider the future direction of wind turbine noise policy once the findings of this report are clear. It is of record that the original standard, produced for the then DTI and not as you would expect the Environment Agency, were based on wind turbines of less than half of today’s standard. The Wind Farm Noise Conference in Rome this April will hopefully furnish Hayes and Mackenzie with more up to date data. On this basis I would suggest that the presented report in the ES will not be fit for purpose long before any approval could be given. • Slavonian Grebe(European Protected Species): I am not an expert on birds, or the Slavonian Grebe, but I have taken the time to read up about them. A very territorial bird who, if displaced, may return to its nesting site any time over a four year time scale. I have referred the suggestions of DBSE in mitigation to various experts and their responses were not complementary. Worryingly, as they work for SNH and RSPB they all proved unwilling to put their concerns to paper as they fear disciplinary action. I know there will however be very learned souls who will go into more detail. • Grid Connection:The ES report talks of local connection to the Grid and at the last meeting DBSE stated that they did not know where connection would be made. This was blatantly untrue as they had signed an agreement on 30th November to connect to Knocknagael Substation which is on the east of Inverness something like eighteen miles away and over both the Caledonian Canal and the River Ness. The ES talks of undergrounding which seems to rather run contrary to recent SNH and SEPA guidelines and I really cannot quite see how they are going to manage two river crossings. • Highland Council Regional Plan (Energy): Another issue most relevant is the local plan which suggests that wind farms in this area should be restricted to medium or small scale (7 x 80 metre). This stands well outwith their specifications and therefore we conclude this wind farm is simply too large (23 x 149.5 metre) and in an inappropriate location. To put into context, this project is the equivalent of building 23 copies of the Glasgow Tower, but 20% taller and with a span at the top of 100m, on the top of Arthur’s Seat I don’t see the seven hills of Edinburgh adorned with this scale of wind farms and I very much doubt we ever will. • Cumulative Effect: I note DBSE’s comments on cumulative effect but I think they have underestimated the effect on the whole area. Approvals are now in for Lochluichart, Corriemollie, Corriemony, Dunmaglass, Corriegarth. Scoping on Moy, Daviot, Glen Kyllachy, with Balmacaan and Stronlaig proposed. With Millenium, Millenium extention, Fairburn and Novar built and Novar two under construction. This is irrespective of others in the pipeline. If that is not cumulative, I don’t know what is! • Employment: I have read the statement of future employment from DBSE for the wind farm proposal with absolute amazement. There will be a limited number of contractors (c.60) in preparation of the groundwork, concrete mixing and electrical work of which it is possible that some if not all may be local. Erection and installation of the turbines is usually done by the Manufacturer using their own staff, brought from whichever country made the product. After commissioning there will be a minimum of staff. Fairburn which is similar in size employs one full time member of staff and two roving engineers. Habitat work will use some contractors for a limited time although they will be employed by DBSE forestry interests and not really part of the wind farm. The figure of 975 full time equivalent jobs is total and absolute imagination and should be struck from the document. • Community Benefit: As we are always told the Community Benefit is not a legal requirement of the proposal and, as we now have a standard equation by Highland Council, it should not be included in the presentation and not be taken account of. • Photomontages: We have looked at the photomontages and like many previous applications the view of the residents is that they don’t look like they should. We have the benefit in this area of an expert on cameras and lenses, Steve Byford of ffordes Photographic, one of the leading professional camera and lens suppliers in the UK. He noted that a standard 50mm lens was used and is of the opinion that an 85mm shows a more accurate perspective. A 50mm may show more foreground but it elongates the image and pushes the background more distant. An 85mm lens produces an image more normal to the human eye. We have addressed these issues with SNH and Highland Council and Joanna Duncan of SNH has responded that they are to do a review on Visualisations Good Practice and will explore our suggestions further. They are doing some in-house experiments and will involve us further as stakeholders. They accept that there are a lot of complaints about current practice. SNH guidelines do not stipulate a 50mm lens, as suggested by the consultants at the DBSE presentation, but a lens in excess of 50mm. Other incorrect information from the consultants was that modern digital cameras produce different images so a 50mm lens was adequate. Absolute rubbish. A digital camera is simply a different medium. The lens makes the photo. Highland Council has yet to respond. My contention therefore is that the photomontages presented at the DBSE Road Shows were misleading and not fit for purpose on the basis that they had not followed SNH good practice (over 50mm) but that of an incorrect lens (50mm). An error compounded by “usual” practice is still an error. Now I would like to take a slightly different line and that is the actual permanent effect that this wind farm may have on the area. A more relevant point to me refers to real Highland income. Not the crumbs from the wind farm developers but the real money and assets brought to the Highlands by those that choose to make the area their home. These incomers, more often than not returning Scots bring real wealth to the Highlands. Kiltarlity and Kilmorack have proved exceptionally popular over the last twenty five years. They build houses, they revive old properties, they bring work, whether for joiners, electricians, plumbers, builders, fencers. They support the local shopkeepers. They support the local cafes and restaurants, especially in the winter periods. These are not holiday homes. These are permanent residents. Often we see whole extended families relocating. All this is financed by cash made outwith the Highlands. They are a positive financial influence to the Highlands. They get involved, they join the community activities, they affect the lifestyle. Those that are younger who choose the Highlands bring with them high skill bases and often businesses that employ local people. Many are involved in tourism. They are more often families with young children, something that the Highlands desperately need. Local school rolls have increased and secured the future of those schools. It would not be an underestimation that the majority bring upwards of one million pounds per family to the local economy. Some a great deal more. Why do they choose this area? Basically Wildlife and the Wild Highland views, the community spirit and the people. They come for the Munros, the Corbetts and the Grahams. They come for the mountains, rivers and Glens, the Pine Martin, the Stoat and the Otter, the Buzzard, the Kite and the Eagle. The Salmon, the Brown Trout and the magnificent Red Stag. They come for the purple of the heather, the golden hues of autumn and the diamond glint of winter sun on the pristine white snow. Add the gross income to the Highlands from this area alone and I suspect that the figure will dwarf such trickle down that the wind farms will provide. 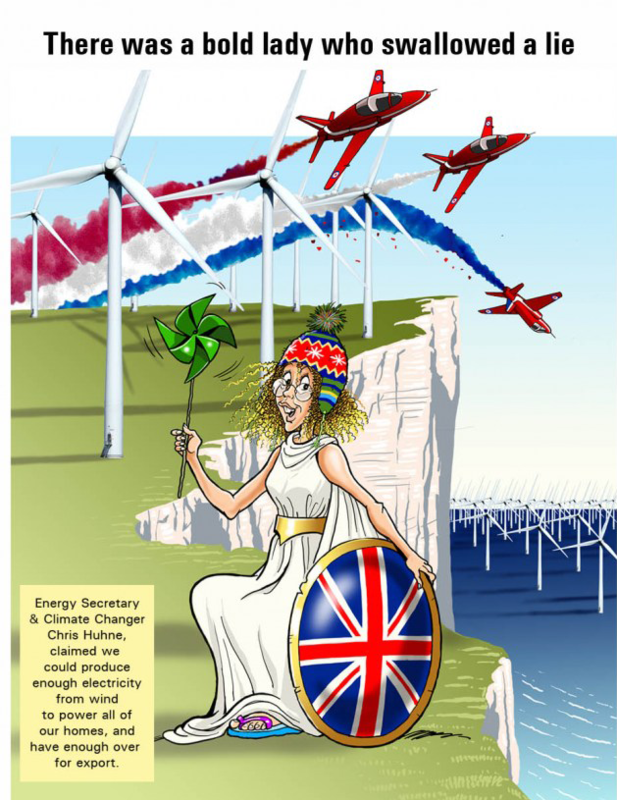 Will they stay in a wirescape of turbines and pylons? Debatable. They have the financial capacity and skills base to move and live wherever they like. Another Highland Clearance? Only time will tell, but these things don’t happen overnight. They are a drip, drip effect until the bottle is empty or the Glens resound to only the whoomph of rusting inefficient giants. Despite what the ASA says, wind energy at 21-30% availability cannot be described as efficient. I chose my home, described by the author Ian Thompson as the “Bonniest farm in the Highlands” because of the beautiful views from the Beauly Firth to the Monadhliaths to the mountains of Strathglass. 360 degrees of perfect scenery. And I don’t claim exclusivity to the views, just query whether the degradation of the Highland Landscape is a cost too far to shoulder for a debatable endgame. I came from an industrial city, although my father’s family were Beauly and Kiltarlity born and bred, and I know what an industrial landscape looks like. If I choose nature over industrial for my home, what do you think the tourists will chose? Whilst the people who choose the area for their homes are the life blood, the tourists are the bread that feeds us. What we strive for is Quality of Life. An amalgam of sensory experiences from the clear clean air to the lilt of the language to the un-encumbered scenery around us. The whole package. I now not only refer to incomers, but also of those that have lived their whole life in the Glens. It should never be forgotten that the affluence and vitality that inward migration brings also has the effect of retention for those born and bred to the area. The slow exodus from the Highlands has been halted and reversed in this area. The large numbers of young people that live in Kiltarlity, Kilmorack and Kirkhill are now testament to that. The large number of houses recently for sale(17) should give you cause for concern. The joint effect of the Beauly-Denny Line and the proposed Druim Ba Wind Farm may be responsible. As the value of ROCS, or subsidies by another name, decline can we guarantee that these, often foreign, companies will honour their obligations to de-commission. A “War of the World’s” scenery of rusting behemoths is also not the legacy for our children. May be outside an Energy Consents remit but it is extremely relevant in this case. Despite what DBSE try to imply there are an awful lot of residents in the 35km circle of Visibility. It only requires a relatively low percentage of emigrants and an inability to attract more residents in the area for shops and restaurants to fail, Hotels to shut their doors and schools to close. Is this limited to this area? I doubt it. Loch Ness is a magnet for Tourism. Will Cruise ships choose Invergordon if it is surrounded by a ring of steel? Have a look at http://www.alansloman.blogspot.com and read the comments of all those that are choosing not to visit Scotland any more. It is a sobering read. Regardless of the 2008 report, information easily obtained from other European and North American tourist areas, suggests a traumatic effect on tourism of some forty per cent. Migration of residents is a little more difficult to gauge. This due to both negative equity in properties affected by Wind Farms and, in many cases, total inability to find a buyer. If you can find a buyer will the figure you get buy you something similar elsewhere. Why should you need to move? The scale of these factories is un-precedented in Rural areas in the numbers that we are being presented with. This can be particularly stressful for people needing to re-locate due to employment requirements. Visual impact is not taken into consideration by planning but in this way I hope to have proved it is very relevant. I would not choose to live under a wind farm. A tower or pylon is inanimate. You may not like them but you can learn to live with them. Turbines rotate and so draw your attention to them. Instead of a restful pleasant view you are continually distracted by movement. This is what causes the stress and illness that living within the footprint of a wind farm brings. Noise causes lack of sleep and disturbance. We have certain rights of peaceful enjoyment of our homes enshrined in EU legislation and yet those rights are pretty well ignored in this Race for Wind. In this instance we are literally at your mercy as the planning route is virtually circumvented to attain politically agreed targets. Therefore we can but request that in this instance you take a robust view of this application and reject it as not acceptable in this location. Consultation on the Druim Ba wind farm. I have lived in Abriachan most of my life and have written extensively about the history of the Highlands and this place in particular. In 2007 I received a Saltire Award for promoting the understanding of Highland culture. I say this not to blow any trumpets, merely to make the point that I do know a little about that of which I speak. A place is somewhere where people have lived, perhaps for thousands of years, have come and gone, have built memories, have lived and worked and wondered. Such a place is Abriachan, Caiplich, Glenconvinth and the land between. So much has happened here. A huge boulder on the moor near Rivoulich bears those mysterious cup-marks wrought several thousand years ago. In Caiplich eleven hut circles tell of a bronze age settlement, now registered as an ancient monument. Is the island on Loch Laide the remains of a crannog – it bears many of the features of one? In Glenconvinth the old cemetery beside the mediaeval church has the graves of many Abriachan families. Does traffic on the A833 today follow the pilgrim route of centuries ago, linking Kilmore with Kiltarlity and Beauly? At Kilianan, down on the shores of Loch Ness, Columba left a small settlement of his followers on his missionary journey in the sixth century. Here is the carved gravestone of a woman traditionally known as a ‘Norwegian princess’, possibly a descendant of a well-liked Norse family settled in the area. The land between Glenconvinth and Abriachan was the out-run, so essential for the people’s livestock. Here the cattle were ‘summered’ eating the fresh grass at the shielings. The women and girls would live in small thatched houses, making butter and cheese. Boys would herd the cattle. It was a happy time. Many songs telling of the summer days are still sung at winter ceilidhs. The place names ‘allt na Harrie’ in Caiplich and Arrie in Street come directly from the Gaelic airigh meaning shieling. And the place of the shielings is Druim Ba, the ridge of the cattle. There is another Druim Ba in Glenurquhart above Gartally. That was how so many place names originated, as a record of some happening. Each field, each rock was known and loved for some reason. The ‘field of the sword’ was where an ancient sword was unearthed; ‘Alasdair’s rock’ was the rock the boy climbed to rescue a lost lamb, and so on – all named in expressive Gaelic. To the people of Abriachan their religious faith and practices meant much. They were independent-minded. At the Disruption in 1843 many of them joined the Free Church. They would walk miles on a Sunday to find a church they favoured, sometimes spending the whole day thus. Sometimes they attended outdoor services – there was a well known preaching site at Teavarran. The men enjoyed a challenge to authority. Times could be hard and whisky distilled in a hidden bothy, using a smokeless fire of juniper, could be sold to willing customers in Inverness or the inn at Megstone. Ways of outwitting the excisemen were many. Boulders could be hurled down the hill on their approach from Loch Ness. Flagons could be hidden in the voluminous skirts of Granny as she dozed at the fire. An eighteenth century schoolmaster here, shocked at how the men and boys played shinty on the Sabbath, managed to persuade them to Sunday worship – promising to join them afterwards for a game! In the nineteenth century Thomas Macdonald of Tore, Thomas the Bard, composed verse, some about places that were dear to him, such as Glen Urquhart, some about people. Did he dislike you? Beware! Satire was a barbed weapon dreaded by many. On his death-bed Thomas asked for all his religious verses to be destroyed, except those of religious tone. Luckily a few were saved. At Achcullin lived Donald Macdonald who had been piper to the lairds of Grant. So music was in the air! And dance! Before the village halls were built the young people would dance in the open air, to lively ‘mouth music’. In the 1920s, when there were close on a hundred pupils in the school, the Abriachan School Gaelic Choir was famous and won many prizes at the Mod. And later, after the second world war, where he had served in the Lovat Scouts, Donnie Riddell worked here as ghillie and game keeper, walking the moors in all weathers, with his head full of fiddle tunes. They would just ‘come to him’ he would say, as he worked on the hill all day. Later in life he was to be the teacher and inspiration to a whole new generation of gifted young musicians and has now passed into legend. After the second world war, when things were changing, the number of children in the area dwindled and the schools at Abriachan and Glenconvinth closed, pupils attending more modernized schools at Tomnacross and Dochgarroch. In the 1960s pupils from the Inverness High School of Inverness would come out to Abriachan, using the old school buildings as a field centre. They did repairs to an old croft house, clearing bracken, also studying the history and the wildlife of the area. Now middle-aged, many of these former pupils remember their days in Abriachan with nostalgia! After the grim years of post war depopulation, in the 1980s young couples with families came to live in the area, commuting to work for an income. In Abriachan a grouo of young, active people devised a plan for taking over forest land from the Forestry Commission. After a lengthy period of negotiation, acquiring funding and so on, in March 1998 the Abriachan Forest Trust came into being. The following year, July 1999, the launch of the Land Reform Bill tootk place in the Abriachan Hall, several politicians attending. The Trust has since developed its acquired forest in many interesting ways, making wild places accessible with trails, arranging guided walks for children, when birds and flowers are studied, laying the basis of an education in ecology. A replica iron age house has been built and a shieling hut, tributes to a past age, and also educating the young in real ways. Today the last of our native Gaelic speakers, Hugh Macdonald, descendant of the Bard, is at rest in Glenconvinth cemetery. But many of the children are learning Gaelic in school, as well as the old arts of traditional music making and Highland dancing – there is even an ‘Abriachan Highland Games’ in late June. This then is this place, and whilst there have been many changes, there are also many common threads weaving through its history. It has been a place for a self-sufficient agricultural community from very early times: man made influences are everywhere. Living in these hills breeds a rare independence of spirit. We had hoped to have done with the dominance of the landed, the laird, the wealthy. We, the community, shape the land now. Proximity to the Great Glen means this is a place through which people have travelled, whether the knights of old; clansmen returning to Glen Urquhart after the battle of Culloden; or the Great Glen Way walkers of today. It is a place which to its residents is precious and irreplaceable. It is small in scale, yet with breathtaking vistas of far hills. It has inspired musicians and writers and artists and continues to delight those who come in search of peace and quiet and respite from the pressures of modern living. Let us heed the fine words of the Burra Charter and the European landscape convention. This is not a place for these huge turbines to shatter the horizon and break the silence of the hills. I would like to register my opposition to the proposal to site this wind farm in this area of outstanding natural beauty. It’s proximity to Ruthven Barracks, the Highland Folk Museum at Newtonmore, the village of Kingussie and the Kincraig Wildlife Park as well as its proximity to the Cairngorm National Park put it right within a circle of iconic tourist attractions. Those Tourists come to this area to marvel at the scenery and enjoy the facilities all around them. Any suggestion that the site can only be seen from the top of Cairngorm shows a total lack of understanding by the Consultants who reported on this project. Visitors to Aviemore, Newtonmore, Kingussie and Grantown on Spey visit the greater area. They walk the whole of the Cairngorms and not just a limited trip up the funicular. I have always brought visitors to the Highland Folk Museum, Ruthven and the Aviemore area for the pure and absolute Highland experience that it engenders. I regret that I will no longer do so if this development goes ahead. Why? They don’t come to Scotland to see wind turbines. The Blue Seas Green Energy Government report suggests a loss of income to the Solway Firth, Kintyre area of £3.4 million per annum. It should be realised that the far higher tourist footfall in this area should realistically suggest a loss of tourism of some £10 to £12 million per annum. Especially when the cumulative effect of the Loch Ness Ring of Steel is taken into account. One recurring theme when you talk to the tourists is that they will not return to a landscape dominated by Turbines and large scale wind factories. Their words not mine. Their feet are marching away from Scotland! I am aware that Scottish Government puts much emphasis on Community Benefit and employment opportunities. Now that a standard for Community Benefit has been established for the Highland Council area with a share for Pan Highland projects to HC themselves, I would suggest that this should not even be considered in the ES as it is now irrelevant as part of any application. All applications have to comply, even if not a legal obligation, therefore it is not a factor in the proposal. As to employment opportunities, we have seen some ridiculous estimations and really again this is not a planning issue and therefore should not be part of the consideration. With a limited population suitably qualified in the area, I would put to you that it is most likely that contractors will be brought from outwith the area. Note that the contractors on the Beauly-Denny line have been employed from outwith Scotland altogether. The amount of staff to run a built wind farm is minimal. Fairburn with twenty turbines has one full time engineer and the use if two itinerant engineers maybe one or possibly two days a week. The skill base required would probably preclude any local employment. Therefore can I suggest that this proposal with it’s position on the A9 and so close to four centres of tourism should never be allowed to proceed. Once these structures are built, with their projected decimation to the Tourist trade, you will never be able to undo the damage that you will have reaped on this area. Scotland benefits from £11billion pounds of Tourism per annum, down from £14 billion a few years ago. It employs over 200,000 people. The Verso report and the Renewable Energy Foundation both reflect a significant adverse balance of employment due to Renewables. The Verso report states for every job created in the Renewables Industry 3.7 will be lost. REF forecasts that by 2020 we will have a significant drop in employment in Scotland directly attributable to Renewables. One should accept that these are independent reports with good science behind them, and not the usual Consultants reports tainted by their reliance on the Renewables Industry for their future employment. 1. The visual impact- As these are almost certainly the largest onshore turbines in the country, even bigger than those in the Moray Firth, no one can fully appreciate the visual, as well as acoustic, impact changing from a tranquil relaxing landscape to a noisy, chaotic industrial one which would be distracting for visiting motorists and tourists unaccustomed to narrow winding roads, increasing the risk of serious, if not fatal, road traffic accidents. 2. The ever diminishing wild, natural open spaces will undoubtedly lead to higher stress levels in the urban dwellers who visit these hills and mountains to relax and recharge their ‘batteries’ before returning to the ‘urban jungle’. The Stress caused to the many residents for whom the unacceptable noise, stroboscopic effect and Visual Impact of these turbines there may be no escape if they are unable to sell their homes or crofts at the price required to purchase a comparable new home (if a sale is even possible). 3. TRAFFIC DANGER as a former healthcare professional I am deeply concerned for the safety of the young and the elderly particularly during construction due to the large number of oversized loads – possibly 414+ -passing through quiet small villages and down narrow winding country lanes in conjunction with the numerous heavy loads already predicted over the next five years pertaining to the BEAULY – DENNY up- grade and the WESTER BALBLAIR Substation expansion. 4, AIRCRAFT DANGER Coming from a family of pilots I fear that it would be only matter of time before a serious accident will occur as this area is frequently used by fast jets from many countries for low level flying training en route to the West Coast and Tain live bombing ranges. A report in the Press and Journal, dated 8th April 2011, detailing the findings of an Air Prox incident, 12.41pm 25th October 2010, between a tornado jet and a light aircraft, showed that the tornado was unable to see the light aircraft because it had a dirty windscreen (washer bottles were no longer being refilled) This added to the fact that large turbines are not always well delineated on radar, depending on angular presentation, must surely be a recipe for disaster! New technology is still unproven and may prove to have adverse effects ie: whilst hiding ‘clutter’, other aircraft may also be hidden. Regardless of statements by MOD Safeguarding, accidents happen when the Perfect Storm of cumulative failures and errors resulting in high workload causes mistakes to be made. AIB reports are testament to that. In the accepted norm, structures of this height would normally be lit. I see no reference in the ES for this provision to be considered. We were informed that by reducing the height by half a metre this would no longer be a requirement. Such a cavalier attitude to safety is not acceptable. Also at risk the many civilian helicopters flying up to Highland estates and the AIR AMBULANCE which flies low level often in marginal conditions. 5. In it’s Environmental Survey, DBSE have stated that further provision for tracks, cycle ways and bridle paths will be included in the forest. France is now putting a 500 metre exclusion zone around each turbine, and in England some sites have been made off limits due to health and safety concerns. If this becomes a standard it conflicts with the Scottish RIGHT TO ROAM. The real dangers of large chunks of ice (small car sized) being thrown, as witnessed by engineers, when the turbines re-start after a stationary period during winter high-pressure events, plus the risk of blade detachment and throw particularly as they age due to possible metal fatigue or carbon fibre de- lamination. 6. FIRE- records of turbines catching fire due to electrical faults, oil fires or lightning strikes are not unusual and at that height local fire services would not have the equipment to deal with it. If left to burn in a dense forest of tall trees whose sap and needles contain volatile oils, this could be a recipe for disaster resulting in hundreds if not thousands of hectares of heather moorland and Ancient Caledonian Forest being destroyed, plus the many hundreds of homes within the area. •	On arrival, CFS officers could do little but watch the blaze from half a kilometre away, as the situation was deemed too dangerous to approach. ( 04.11.10)This is but a small sample of recorded incidents and fails to address the new issue of key holing into forest estates. Thanking you in anticipation of your consideration of these concerns and hope that in this case you will see fit to adopt the precautionary principle and conclude that this is a proposal too large and in an inappropriate area. I lodge an official objection to the below-mentioned application and I would be grateful if you would forward this objection to the appropriate planning officer. 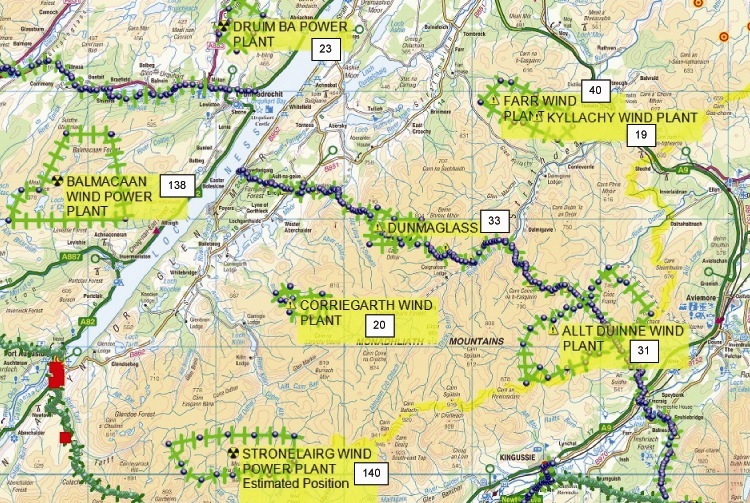 Application to construct and operate a wind farm at the Druim Ba Forest within the Blairmore Estate, Glen Convinth IV47HT-Central Grid Reference NH 530 355. During research into wind farms and their daily function it was found that things were not as is portrayed by developers, including Scottish Power Renewables. I found that large wind turbines require a large amount of energy to operate, YES, large amounts of electricity to operate. Other electricity plants generally use their own electricity, such as EfW’s etc, and the difference between the amount they generate and the amount delivered to the grid is readily determined. Wind farms, however, use electricity from the grid, which does not appear to be accounted for in their output figures. 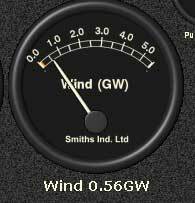 In fact, not one single energy supplier that I have contacted has provided me with exact data of electricity used by each wind farm, a fact I found strange as I had clearly marked my inquiry as “Electricity used by wind farms”. To give permission for this development will put a massive drain on the already strained “National Grid”. The fact that the development will put a massive strain on the “National Grid” will not be acknowledged as this would not conform to the industry and Scottish Government biased statistics. using the generator as a motor (to help the blades start to turn when the wind speed is low or, as many suspect, to maintain the illusion that the facility is producing electricity when it is not, particularly during important site tours) — it seems possible that the grid-magnetized stator must work to help keep the 40-ton blade assembly spinning, along with the gears that increase the blade rpm some 50 times for the generator, not just at cut-in (or for show in even less wind) but at least some of the way up towards the full rated wind speed; it may also be spinning the blades and rotor shaft to prevent warping when there is no wind. In some instances each turbine can consume more than 50% of its rated capacity in its own operation!! That being the case, the development as a whole — which may produce only 15%- 25% of its rated capacity annually — would be using (for free!) twice as much electricity as it produces and sells. The area suffers from regular Electricity interruptions due to an already strained “National Grid” and this development will only exacerbate the situation. The Energy Industry doesn’t publicize any data that shows the exact amount of Electricity used by turbines; incoming power is apparently not normally recorded. A wind farm exacerbates the strain already on the National Grid and to build even more wind farms will only make the situation worse. Whatever the actual amount of consumption, it seriously diminishes any claim of providing a significant amount of energy. Instead, it is my opinion that Industrial wind power is nothing short of a “laundering scheme”; “Dirty” energy goes in, “clean” energy comes out. That would explain why developers demand legislation to create a market for “green credits” (Renewable Obligation Certificates)– tokens of “clean” energy like the indulgences sold by the medieval church. Ego te absolvo. It is clear from the enclosed information that the proposed application is of no economic benefit to the National Grid and should not be favoured as being in the national interest. It is only a matter of time before the amount of consented wind farm applications will bring about regular Electricity interruptions throughout Scotland as they fail to generate a sufficient quantity of Electricity. In addition, wind farm applications claim to be able to supply X amount of households with Electricity, but Electricity is measured in MWh which is the worldwide acceptable unitary measurement. I have requested the terms of the lease agreement between the Council and the developer to enable me to ascertain whether the Council is in violation of the “State-Aid” principles of the Competition Act. I am of the opinion that the Council will refuse to provide me with the terms and conditions of the lease by claiming they are “Commercially sensitive”. I would be left with little alternative but to raise an official complaint with the European Commission on the “State-Aid” principles. Taking this into consideration, I make a formal request for a suspension on any determination on this application until the outlined points have been resolved. It is clear from available medical and technological information that industrial wind turbines (among other things) cause “sleep deprivation”. I’m sure you are aware that the European Courts have consistently ruled that sleep deprivation is a form of torture and is in violation of Article 3 of the European Convention on Human Rights [ECHR]. Article 3 of the ECHR “No one shall be subjected to torture or inhuman or degrading treatment or punishment”. Article 3 is one of the strongest rights under the Convention in the sense that it is expressed in unqualified terms’. The Scottish Government Renewable Energy policy is not compatible with the European Convention on Human Rights and Domestic legislation. I also contend the Scottish Government violate Article 1 of The First Protocol. As it is my contention that the Scottish Government are in violation of Article 3 and Article 1 of The First Protocol, the Scottish Government also violate Section 57(2) of the Scotland Act. Section 57(2) of the Scotland Act 1998 creates a vires control which prevents members of the Scottish Government from acting incompatibly with Convention rights or Community law. I contend that the Scottish Government has a legal ‘duty of care’ to the Scottish countryside and Scottish citizens. I request that you acknowledge receipt of me email. I wish to strongly object to the proposed industrial installation of a wind power station at Druim ba for the following reasons. 1. Draining the purse of every tax payer in the country for the benefit of foreign speculators. 2. Significantly increasing the cost of electricity, pushing some into fuel poverty. 3. Destroying the amenity of people within the vicinity of the wind power station and significantly impacting thousands of others in the area. 4. A net loss of jobs in the area and in the industry over the duration of the project. 5. 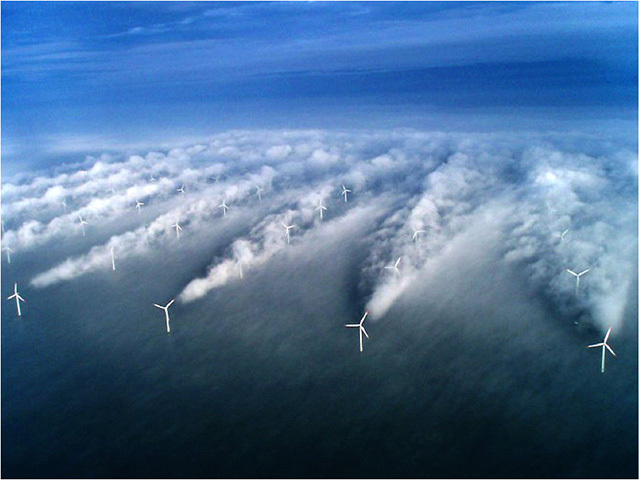 A negligible effect on CO2 emission, contrary to claims of wind developers. 6. A very serious detrimental effect on our world famous landscape amenity. 7. The death and disruption of a plethora of wildlife. A net loss of biodiversity. 8. A measurable impact on tourism, our most valuable, sustainable and green industry, over a time frame much longer than the life of the wind power station. 9. Significant public health and safety risks in the vicinity of the power plant, concrete production plant, and access roads during construction. 10. Yet another drain of Scottish potential for the enrichment of foreign interests. This is not in the national interest. 1. Wind power is the most subsidised commodity in history. Billions of pounds of UK tax payers’ money is being paid to foreign energy firms (Druim Ba Suistainable Energy is a subsidiary of the Louis Dreyfus Group, a French company. EON is French. Scottish Power is owned by the Spanish. Falck Renewables is an Italian company etc.) These subsidies are financed from the public purse and will therefore cost every tax payer in the country. This cost will drive some of our poorest and most vulnerable citizens into fuel poverty. 2. At the same time “green energy” is very expensive due to the ROCs system and due to the massive infrastructure changes required to accommodate these new industrial installations. As the pressure to meet the mis-guided renewable targets increases electricity will become ever more expensive. We are seeing this trend already. Wind energy is set to add hundreds of pounds to the average UK household’s electric bill. 3. Members of our community, many of whom I know personally, will find their houses uninhabitable and worthless as a result of the Druim Ba industrial installation. These are people who have poured heart and soul into their properties, into the community and who bring long term income, vibrancy and integrity to our area. Driving them out impoverished and dispirited is not a price that I consider worth paying for such an ill-conceived power plant. This is no way to treat those that we should care about most and what message does it send to the rest of the community – big business is more important in the Highlands than your home and community? Some Druim Ba supporters have claimed that the blimp recently flown by protestors wasn’t visible from the road to Glen Affric, Muir of Ord and other places. This is false. I have photographic evidence that the blimp was (and therefore so will the much larger, more numerous, and moving turbines) visible from Drynie on the Black Isle, the Black Isle Show ground entrance, Tarradale golf course entrance, Dunmore, Ruisauriue, Drumindorsair, Fanellan, Hughton, Culburnie, Boblainy Farm, Centre of Kiltarlity Village, outside Kiltarlity village hall, Brockies Lodge car park, Ardendrain, Blackford Road/Caiplich, West Tomnachoin, Foxhole, Abriachan, Leetown, Cragganvallie, Beauly, Great Glen Way, Dores, Divach Falls, Drumnadrochit, Breakachy, Braes of Beauly, Kilmorack grave yard, Aigas Field Centre (on the Glen Affric road) and the Crask of Aigas. 4. Jobs in the wind power industry are subsidised to the tune of more than £50,000 per worker per annum by the tax payer (source: Dr John Constable, Renewable Energy Foundation.) This is unsustainable and it is the balanced and unbiased opinion of the Renewable Energy Foundation, based on statistical analysis of facts, that wind power stations will cause a net loss in jobs in the electricity sector over their lifetime. While there might be a temporary increase in jobs in the area during the construction phase, a great number of these jobs will go to workers from elsewhere. This is the kind of boom and bust economics that we don’t need in the Highlands. At the same time, wind power stations will inevitably have a negative impact on tourism jobs. Tourism is our most sustainable and suitable industry with the greatest potential for long term growth. We must not compromise this potential. 5. 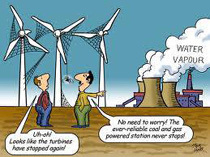 The claim that wind turbines generate carbon free energy is a ‘greenwash’ to hide the real motive behind wind turbines, namely to cash in on the absurd subsidies being thrown at this technology. b. The construction process of the turbines, the roads, the substations, the power lines and pylons. c. The disruption of peat – an important carbon sink – in the construction of roads and turbine pads. d. The production of concrete needed to counterbalance the turbines, which is a hugely CO2 intensive process. e. The fact that wind turbines DO NOT replace conventional fossil fuelled power stations. In fact, gas and coal powered stations have to be kept hot, in a sub-optimum condition, burning fuel inefficiently and producing CO2 in order to be ramped up quickly when the wind drops. This is known as spinning reserve – wind power cannot operate without it. Claims that “the wind always blows somewhere” have been disproven beyond a shadow of a doubt. The fact is that large anti-cyclones regularly cover the whole of the UK, bringing with them no wind and exceptionally high or low temperatures. (Therefore, just when we need power for air-conditioning or heating, wind doesn’t generate it. In January this year Norie Quintos, senior editor at National Geographic magazine wrote “….the primeval landscape north and west of the Highland Boundary Fault attracts outdoor enthusiasts drawn to the mist-shrouded mountains, shimmering lochs, sheer cliffs, and sandy beaches.” She wrote this as the Cairngorms National Park was listed at one of the top 20 must see destinations on Earth by this hugely influential magazine. Many, many people choose to live or holiday in the Highlands because they love its wildness, its remoteness, its romance and even its dodgy weather. As the population of the UK soars towards 70 million by 2050, this precious asset will grow ever more valuable. Wind turbines and their associated industrial infrastructure – pylons and wirescapes, concrete production plants, substations and access roads – are an insult to everything that people cherish about the Highlands. Some wind advocates may claim to “not mind” wind turbines but it would be crass to think that this will be a majority view. The cumulative effect of these power stations sitting incongruously amongst the hills and lochs will deter tourists (source: VisitScotland opinion poll). What is more, they set a precedent for a level of industrialisation within our landscape that will almost certainly persist long after the turbines have gone –this industrial development would set a dangerous precedent. 7. Just as important as our superb landscapes are our magnificent wildlife. It is well documented that wind turbines kill raptors and other birds and bats. In the case of the Druim Ba Industrial wind power station I am particularly concerned for the welfare of Slavonian Grebes, red kites, ospreys, buzzards, peregrine falcons, hen harriers and the various species of bats that may inhabit the area including pipistrelle, Daubentons, Natterers, brown long eared and others. The Druim Ba wind power station will damage biodiversity in the Highlands. 8. My family business – Aigas Field Centre – has been providing employment (to twenty-six people in high season) and significant contribution to the local economy for over thirty years; this all possible because of the interest that visitors from all over the world show in Scottish landscape and wildlife. We are one of thousands of businesses that depend directly or indirectly on tourism in the Highlands; it is our biggest income generator and our most viable growth area. Wind power stations, such as the one at Druim Ba, place at serious risk this most valuable revenue stream and source of employment. Tourism lost due to the despoliation of our landscape will not be easy to recover when the turbines are torn down. We will live with the consequences of placing machines in our landscape for much longer than the life of those machines. There is no good place for a wind farm but the Druim Ba industrial development is particularly badly sited – highly visible for miles around and on an important route to the Highlands and Loch Ness and visible from the Great Glen Way. 9. This proposal is for a major industrial installation, including a concrete production plant. This will bring with it heavy plant, high traffic volumes, temporary offices and accommodation for populations of migrant workers, high levels of dust, noise and vibration– all completely out of keeping with the development plan for the local area. I fear that local residents, and particularly school children making their way to and from school, will be placed at unacceptable risk by this sudden industrial intrusion into their community. Wind turbines themselves are known to present health issues in the form of shadow flicker and persistent audible noise. What is less well known is the possible effect on health of inaudible noise and vibration. Evidence is emerging of a “wind turbine syndrome” which some claim causes sleep disturbance, headache, ringing in the ears, ear pressure, dizziness, nausea, visual blurring, fast heart beats, irritability, poor concentration, memory, panic attacks, internal pulsation, and quivering. More research needs to be done into the potential health risks before we place any industrial development as close to human habitation as the Druim Ba wind power station is planned. 10. The Highlands and its communities has a history of being exploited by outside interests: sheep in the 19th century, oil in the 20th century, will it be wind in the 21st century? The Highlands are doing well, employment is generally up, communities are growing, we have resources and amenities available to us, the advent of the internet has opened up a vast array of opportunity, which is only just starting to be leveraged. WE DON’T NEED WIND and given that wind power stations such as the one at Druim Ba will impoverish us, drive up our bills, despoil our rural assets, severely disrupt out communities and almost certainly do nothing to ‘save us from climate change’ – our elected representatives and civil servants should be taking steps to protect us from the clutching avarice of Louis Dreyfus Group and their likes. I have calculated that this benefit, which goes not to individuals or families but to regional and local councils (and so is a form of tax,) is less per household than the likely additional cost of electricity per household brought on by wind powered electricity. Please register my most strong objection to the proposed Druim Ba wind power station industrial development. I am speechless. This is a excellent weblog and very enticing too. Great work! That’s now not actually a lot coming from an beginner writer like me, but it’s all I may say after diving into your posts. Nice grammar and vocabulary. No longer like different blogs. You really recognize what you?re speaking approximately too. So much that you made me need to explore more. Your weblog has turn out to be a stepping stone for me, my friend. Now that is some great journalism. I was recommended this blog by my cousin. I’m now not certain whether or not this post is written by means of him as no one else recognise such unique about my problem. You’re amazing! Thanks! I’ve been surfing on-line more than 3 hours lately, but I by no means found any fascinating article like yours. It’s beautiful value sufficient for me. Personally, if all website owners and bloggers made just right content as you did, the internet shall be a lot more helpful than ever before.